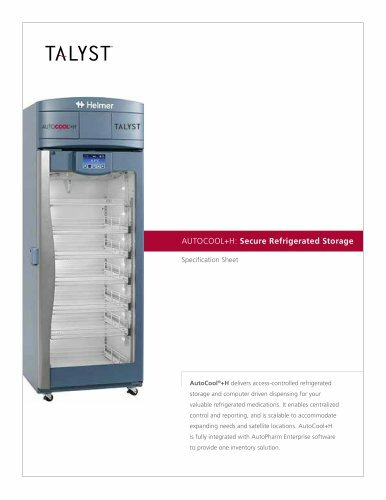 Autocool+H: Secure Refrigerated Storage Specification Sheet AutoCool®+H delivers access-controlled refrigerated storage and computer driven dispensing for your valuable refrigerated medications. It enables centralized control and reporting, and is scalable to accommodate expanding needs and satellite locations. AutoCool+H is fully integrated with AutoPharm Enterprise software to provide one inventory solution.